Pour water into medium saucepan and add elderberries, ginger, cinnamon, and cloves. Bring to a boil and reduce to a simmer for about 45 minutes to an hour and 15, until the liquid has reduced by almost half. Remove from heat and let cool enough to be handled. Mash the berries carefully using a spoon or other flat utensil. Pour through a strainer into a glass jar or bowl. Discard the elderberries and let the liquid cool to lukewarm. When it is no longer hot, add yacon syrup and stir well. **You may taste your syrup before adding any yacon syrup. If it tastes sweet enough, simply skip to step 5. Alternatively, you could add SweetLeaf SteviaDrops in Clear or Vanilla Creme. When yacon syrup is well mixed into the elderberry mixture, pour the syrup into a quart sized mason jar or 16 ounce glass bottle of some kind. Store in a glass jar, in the fridge and take at least 5 days a week during the flu season. Regular dose: ½ tsp to 1 tsp for kids and ½ to 1 Tbsp for adults as an immune booster. If you fall below the wellness line, take the normal dose every 2-3 hours instead of once a day until you're back above the wellness line! If you don't want to take your dose straight up, add it to a glass and pour over a can of lemon or lime sparkling water! Enjoy and Be Well! Notes: This should last a few weeks to a month in the fridge. You can freeze some in ice cubes and use as needed for extended use. *comment below for info on where I get my Yacon syrup and Vitality Essential Oils. If you are still using honey, you could swap for honey here in a pinch, but it will not be keto-friendly. 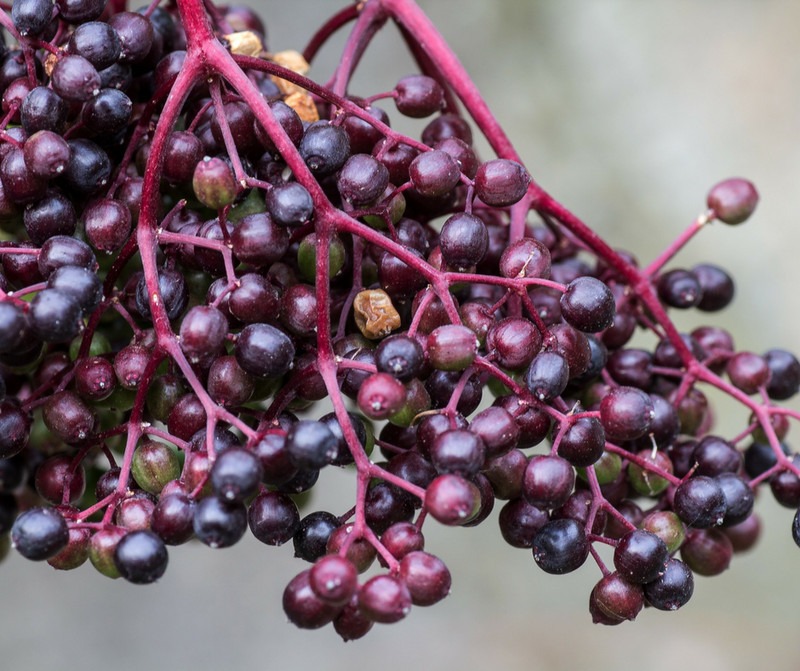 You will need this recipe for my *coming soon* Keto-approved Elderberry gummies.